Michael L. Astion received his B.S. degree from Cornell University, and his M.D. and his Ph.D. degrees from the University of Pennsylvania. He took his training in clinical pathology at the University of Pennsylvania and the University of Washington School of Medicine. 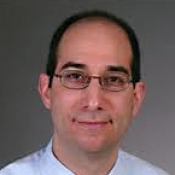 Dr. Astion is an Associate Professor of Laboratory Medicine and an Adjunct Associate Professor of Medical Education at the University of Washington School of Medicine in Seattle, Washington. He is a major contributor to the development of medical education software in the field of laboratory medicine and their application as alternatives to traditional methods of training and competency assessment in the clinical laboratory. He has been a frequent invited speaker for presentations at national and international meetings. He is the recipient of the American Society of Clinical Laboratory Science (ASCLS) Theriot Award for Development of Significant Materials in Media and Equipment.